A donation towards transformational change. Every donation to the Garth Homer Foundation goes towards creating the supports necessary for people with developmental or other disabilities to lead fulfilling lives. It is a donation that helps others reach their goals. Learn more about our 2013/14 Fundraising Results. 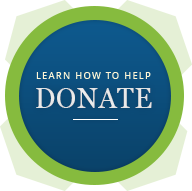 Please join our community of supporters and make a donation today. Please phone 250.812.7896 Monday - Friday between 8:30am and 4:00pm. Honour a loved by making a donation in memoriam.